Leigh Miners return to action following a week off on Saturday when they take on promotion rivals Lock Lane at home in Round 17 of the Kingstone Press Cider National Conference League Division One, Kick off 2-30pm at Twist Lane. Before Saturdays big game the club celebrates the 1979 and 1994 cup ties against neighbours Leigh RLFC, with past players from both clubs and games gathering at the club from midday for a buffet lunch followed by a Q&A session in the pitchside marquee, all are welcome to attend this event free of charge with a special commemorative programme also available. Miners go into Saturday’s clash on the back of an excellent 24-18 win away at Milford a fortnight ago. With a much changed team from the side that beat Shaw Cross the week before, the lads from 1 to 17 grafted from start to finish against a physical Milford outfit to get the win which keeps them in second position in Division One, two points behind leaders Thornhill and five clear of the third place Lock Lane. This week training as gone very well with everyone switched on and training hard ahead what is a big day for the club as it celebrates its heritage. The players selected to play against Lock Lane know they are in for a really tough game, but they are determined to put in a strong performance to match the occasion as they look to stretch their unbeaten run to 12 matches and move a step closer to returning to the top flight at the first attempt. Coach Dave Rowlands is forced into making 9 changes from the side that won at Milford, with Craig Ashall, Matt Astley, Chris Bower, Scott O’Brien, Jack Reynolds and Jimmy Tunstall all being away on holiday, along with Calum Coleman, Rob Crompton and Joe Digby who are all away with England u19s in Serbia for the European Championships. Coming into the side are Harry Darby (u18s), Lee Gittins, Lewis Grimes, Brad Hargreaves, Darryl Kay, Deakon Monks, Mike O’Boyle, Andy Philbin and Adam Thomason. 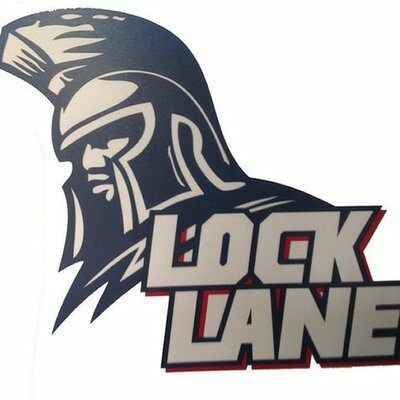 Lock Lane travel to Twist Lane knowing only a win will do this weekend if they are to keep up their hopes of gaining automatic promotion to the Premier Division alive. The Castleford outfit have recently been boosted by the signing of Chris Siddons who returns to the club after a spell with York City Knights, but go into Saturday’s game on the back of two successive away defeats at Pilkington Recs and Featherstone Lions. BIG BANG 2017 IS BACK!